If you are like most people, selling your home is one of the biggest financial decisions that you will ever make. The process can be daunting, and you wiill have many questions and concerns that need to be answered. There are very important issues and details, which need to be handled correctly and executed properly. Choosing the best REALTOR® / real estate team representing you can mean turning a potentially difficult and stressful process into one that is comfortable, informed, and even pleasant. As the Top Listing/Selling Agent Team in Silicon Valley ( Santa Clara & San Mateo Counties) the Boyenga Team is qualified to assist you with all of your real estate needs. The Boyenga Team has organized and put systems in place to make the whole buying/selling process work smooth and efficiently. We would love for you to benefit from what we have been putting into practice! Other real estate companies are made up of realtors, (independent contractors), who work for themselves under a parent company name. One agent typically handles all of their own transactions; i.e. all buyers, all sellers, all marketing, all advertising, inspections, repair negotiation, closings and all the legwork/paperwork that is required to pull it all together. So what happens when that one agent has a conflict or is simply too busy to do it all? Someone gets "put on hold"…it may be you! That may cost you a great sale on your home, or the opportunity to purchase the right home for you…because that one agent simply could not do it all. The Boyenga Realtor Team has eight members. Six members are licensed agents: Eric Boyenga, Janelle Boyenga, Christine Frazier, Daunielle Doughty, Leslie Newington, and Jamie Lynn Jones. Amy Franklin is the Director of Marketing. Leslie Newington handles all transactions from "contract to closing". Although the agents are licensed to "do it all", we realized some time ago, that there is simply no efficient way to be a top producing team and work with all of the Buyers and Sellers plus deliver the highest possible level of service all the time. In setting up our system, we observed top performers from around the nation, and learned from their success. It always came back to the same conclusion…teamwork makes the difference! Separate Seller and Buyer representation is what works. Eric and Janelle's role on the team, in addition to team leader, has evolved into almost exclusively working with Sellers. They personally visit, make price recommendations and list most of the properties you see with The Boyenga Team, Realtors® sign in Silicon Valley. Janelle is the primary contact person on all listings, although there will always be a "second agent contact" name and cell number on the signs, ensuring potential buyer’s an immediate response to their inquiries. We don't want prospects to "get lost" in some complicated voice mail system. Eric &and Janelle personally negotiate offers and update sellers on prospective buying agent "feedback". Amy oversees the advertising and marketing of our listings including Internet, website, magazine and newspaper advertising. Joshua Clark, our webmaster, works full time developing and optimizing the website. Feel free to check out our extensive web advertising program - we do far more then any other team in Silicon Valley! With over 500 domain names such as http://www.siliconvalleycondos.com/, http://www.cambrianrealestate.com/, http://www.eichlerliving.com into our websites there is no wonder why we have the best web exposure in the valley. Also, our website is loaded with beautiful pictures and plenty of information on each home. Moreover everyproperty we sell has it's own personal website along with a with the best Virtual Tours available! As listing agents, Janelle and Eric also want to be sure that our signs, riders and info boxes are well maintained and positioned to perk potential buyer’s interest! Our full color brochures are fabulous and we also compile informative packets, disclosure binders, and financing options about each property! To learn more about how Eric, Daunielle, Christine and Leslie, our "Buyer’s Agents" work, check out our "Buying A Home" section. We are very proud of the effective way our team works together to market properties…check out our track record and reputation…and let us go to work for you! We analyze and help determine home values in the Silicon Valley market every day. As a top real estate experts in Santa Clara County, we can help you determine exactly what your home is worth in the current market. Then, as an experienced professional, we will market your home and negotiate on your behalf to sell your home at the best possible price and the most favorable terms. We will aggressively market your home not just locally, but on a national basis. Through our professional contacts and affiliations, as well as our advanced web technology, we can instantly put your home listing in all of the places qualified buyers are looking. Within minutes, we can alert every realtor in the Silicon Valley, as well as national firms that specialize in helping people relocate to new areas. 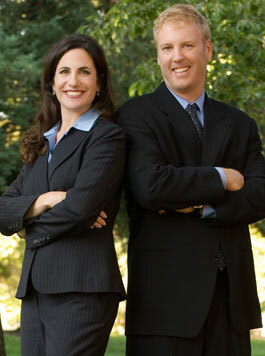 We will protect your best interests throughout the entire process. You can leverage our years of experience as a top real estate professionals to answer all of your questions about every aspect of the selling and closing process. You will be informed and in control, every step of the way. It's our job to make sure your home selling experience is as comfortable and painless as possible!